Scheduling and dispatching are essential keys in the day to day operations of a NEMT business. 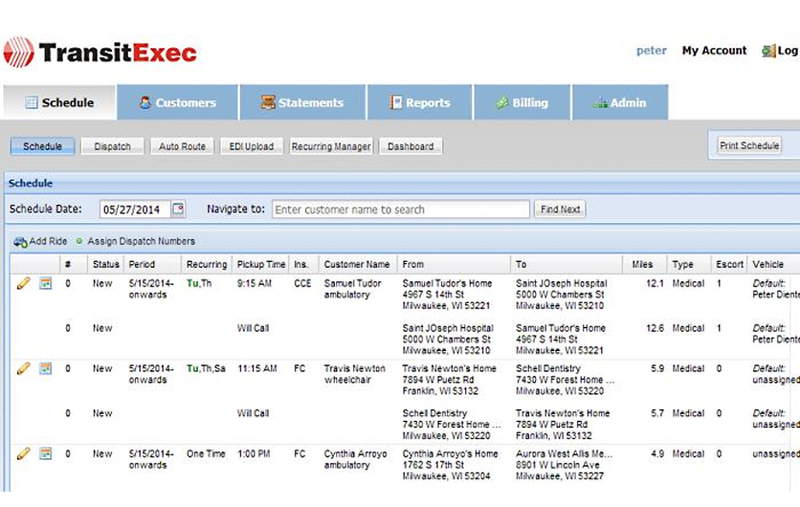 Easily access critical customer data including key contacts, ride history, and more. TransitExec NEMT solution has powerful visualization, analytics & reporting tools automatically keeps track of your records by day, week, month and year. We have developed a very easy-to-use, Internet-based detailed billing system. 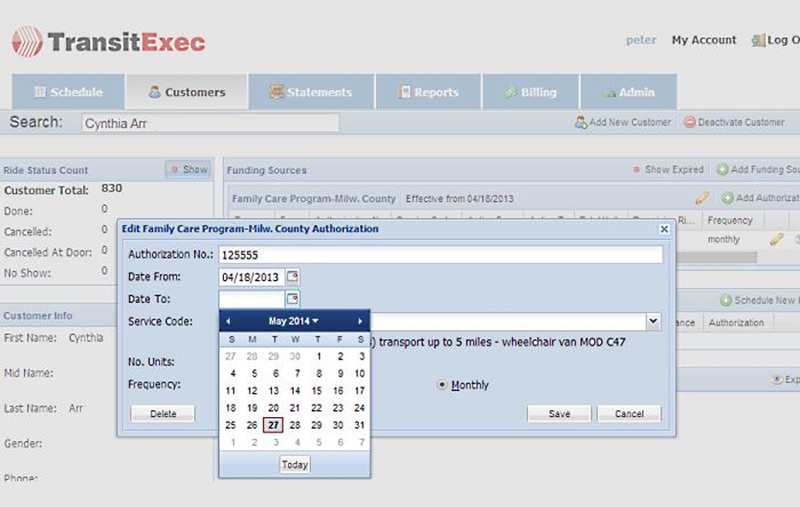 TransitExec allows you to easily schedule and dispatch NEMT rides, manage all daily paratransit tasks, generate and print the most commonly used reports in different formats. The TransitExec Drivers App links with the dispatcher for easy Will Call dispatching, electronic manifests and GPS connections between dispatch and driver. Quick scheduling and real-time dispatching are essential keys in the day to day operations of a NEMT business. They enable you to schedule all rides in the shortest time, optimize it, which results in more revenue per one trip. TransitExec scheduling and dispatching software provides all the tools you need to optimize your routes, save gas and money. 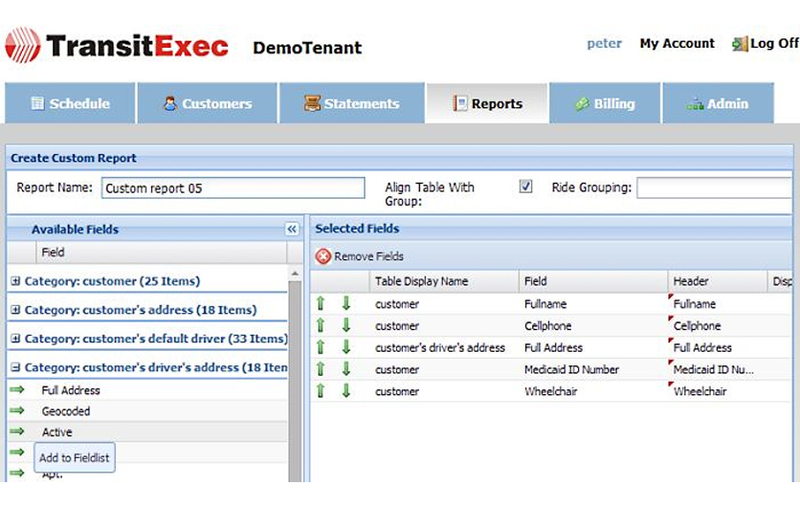 Easily access critical customer data including key contacts, ride history, and more quickly and easily with TransitExec NEMT software. Our cost-effective scheduling and dispatching software optimizes your routes and helps you save money and business time. Full customer info, including SSN, Medicaid ID, and mobility. Data encryption and storage meets HIPAA requirements. Easily review upcoming rides and modify recurring trips with easy-to-use calendar features. 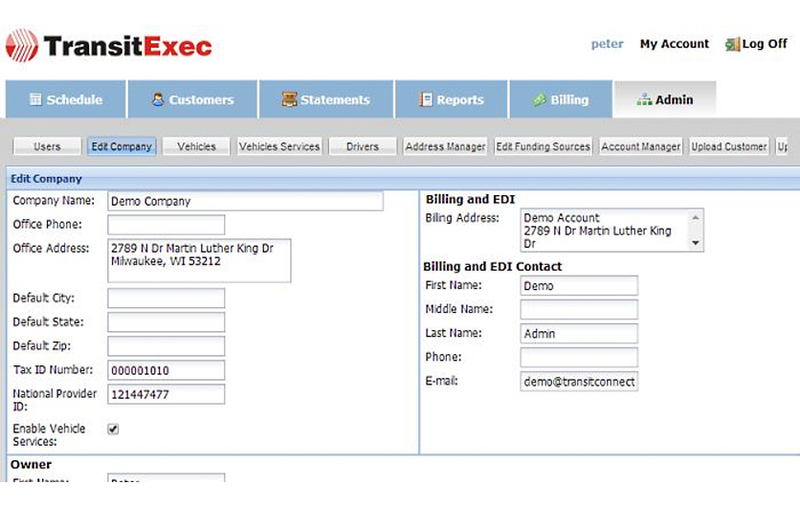 TransitExec NEMT solution has powerful visualization, analytics & reporting tools. Automatically keeps track of your records by day, week, month and year. The administrator can create a custom report, slicing data date, by account, by the driver, by destination and gain powerful insights to identify and mitigate issues and to save money. We have developed a very easy-to-use, Internet-based detailed billing system. TransitExec provides you with the ability to customize your bills without having to have specific knowledge of accounting. 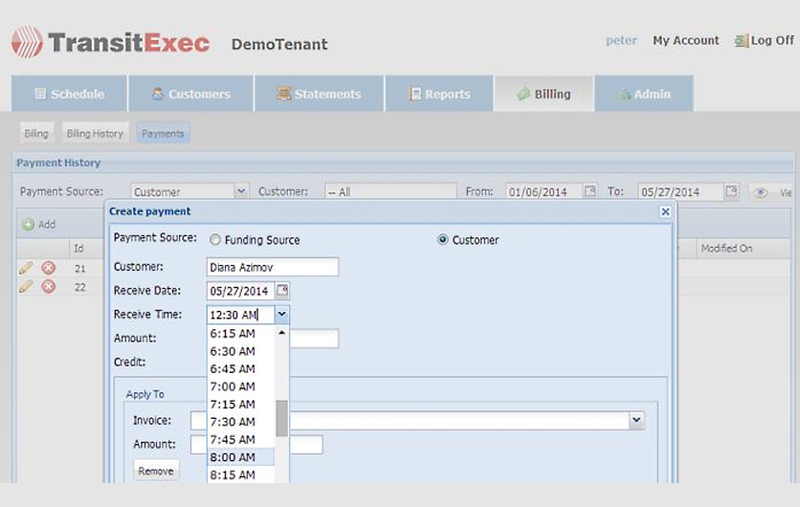 All Bills and Reports are printable and exportable to Excel and Word formats. Friendly and easy-to-use schedule viewer. Easy customer, driver and other data importing. 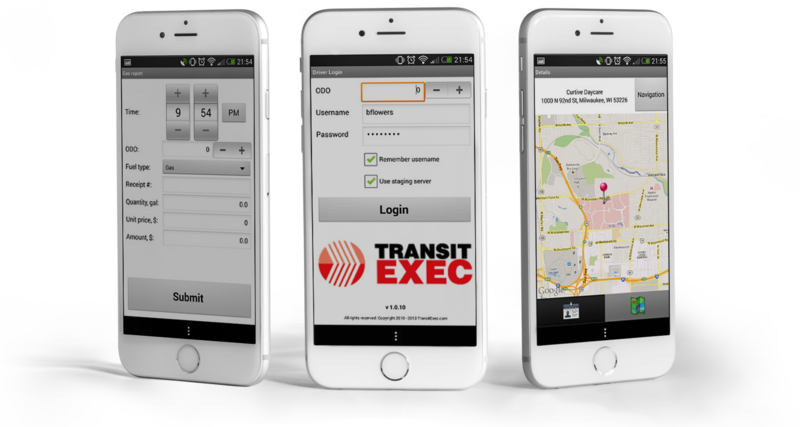 This app is for drivers of companies that use TransitExec software. The TransitExec Drivers’ App links the dispatcher to the driver with near real-time trip status updates.